I read this article and found it very interesting, thought it might be something for you. The article is called The Alternative SEO Reading List and is located at https://www.ben-johnston.co.uk/the-alternative-seo-reading-list/. It’s all well and good reading books about SEO (apart from the fact that they’re usually out of date by the time they get published), but occasionally reading something a little different can help you get some perspective. Whether it’s something to help you manage yourself a little better, maximise your productivity, motivate yourself or engage with potential clients or link prospects, there’s a wealth of great information out there if you know where to look. Today I’ll be sharing my top five books that have helped me become better at search engine optimisation without actually being about it. The guys from 37Signals know a thing or two about productivity – they made Basecamp after all – and this book is a great insight into how they get things done. 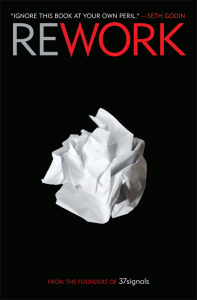 Comprising a series of short articles, ReWork has a lot of well-thought-out, easy-to-digest advice that you can apply to life in the office or on your own projects at home. With titles like ‘Meetings are Toxic’ and ‘Long Lists Don’t Get Done’, there’s a lot of inspiration here. You might need a boss that’s willing to let you try working differently, but if you can get that level of freedom, these tips can really help you get things done. 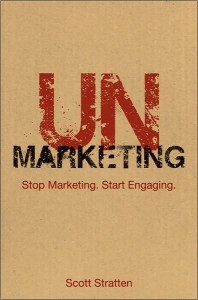 UnMarketing’s tagline is “Stop marketing, start engaging” and for anyone that looks at SEO as something beyond just Google rankings, this is a great mindset to work under. Stratten’s book talks about a different approach to liaising with your potential customers through social media and there’s a lot of other great advice around email list building, “going viral” and calls to action. It’s an excellent read and there are some laughs to be had along the way. If social media (Twitter especially) are a factor in your link building strategy at all, UnMarketing is essential reading. Seth Godin is one of the most influential business writers out there, and with good reason. I had a hard time picking which of his books to include here, but in the end I had to go with The Dip. If you’ve ever had to fight to get a site to rank, you’ve been in The Dip. 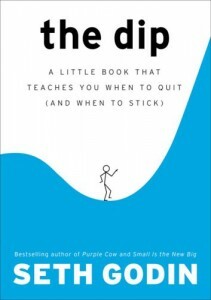 If you’ve ever been working somewhere where the effort involved to get where you want to be is disproportionate to what you’ll get when you’re there and you’re thinking about quitting, you’ve been in The Dip. As is typical with Godin, the book is short, to-the-point and offers advice that sounds so simple, you’ll wonder why you never thought of it before. Read it. Then read everything else by him. Then subscribe to his blog. Then you can thank me. If you do SEO, you probably need to use Excel a lot. Whether it’s just trying to make sense of the tons of Analytics data you have to sift through or trying to find the best keywords for your clients to target, Excel is a pretty essential tool. 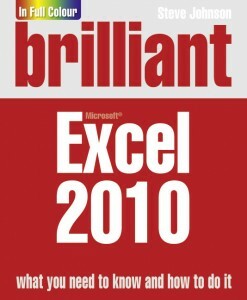 Brilliant Excel 2010 is the best book I’ve read on the subject, and I’ve got loads of them. The instructions are clear, the book is printed in colour and it covers just about everything you’re going to need to look into. There are a lot of books on my “work bookshelf” at home that have just had a cursory look – Brilliant Excel 2010 gets a lot of love. OK, there had to be one almost-SEO book in here. 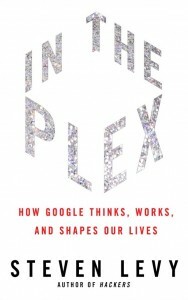 Inside the Plex is the report of an investigative reporter’s time with Google and it really does provide a great insight into how the company thinks – or at least used to think (that’s another post though). I personally found this a really interesting read and it’s always good to know how the team behind Google think, even if it is just in the abstract. This might be a topic I’ll expand on in the future; I’ve certainly enjoyed writing this post. In the meantime, what are your favourite non-SEO books that help you do your job? I’d love to hear from you so leave me a comment or drop me a line on one of the site’s contact forms.